The resolution called the razor wire "not only irresponsible, but inhumane" and argues that this type of wall "is only found in a war, prison or battle setting." A unanimously approved a resolution in Nogales, Arizona, a town bordering Mexico, calling for the Trump administration to remove the razor wire wall, which almost covers the border wall that passes through the city’s downtown in it’s entirety. 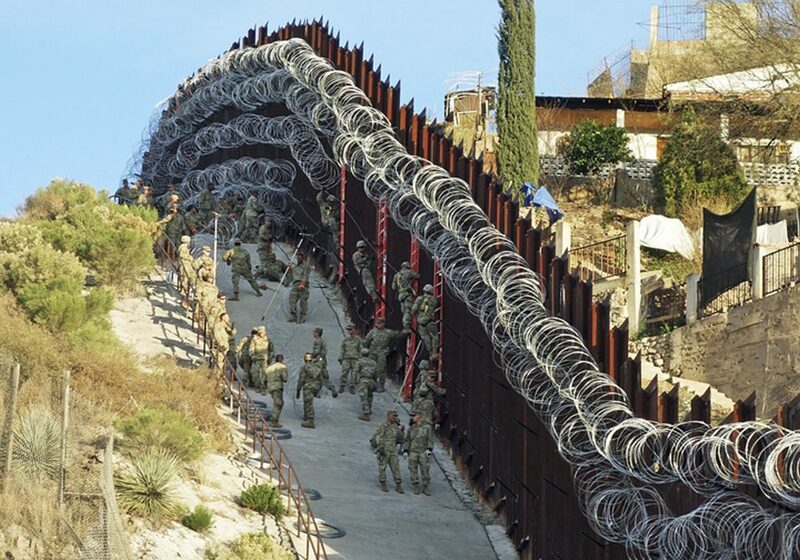 The razor wire was recently installed by the U.S. Army. Mayor Arturo Garino called the razor wire lethal, while additional critics said it was unclear if the it was a deterrent to keep possible migrants and asylum seekers from entering the United Stated or keep residents inside the country. …on the U.S. side of the wall.